Bronx to Bridgewater: Tim Raines sported a Yankee windbreaker during BP in August 2000. Tim Raines retired with 807 stolen bases, a .295 career batting average, 1,548 runs, 964 RBIs and 1,290 walks. He played for four teams over 21 seasons and left the game with a strong case for election to the Hall of Fame. If those numbers look a little off to you after two days of stories recapping his career following his long-awaited call from Cooperstown, that’s because they reflect his totals through 1999, when he played 58 games for the A’s and saw his season cut short that August with a diagnosis of lupus. The following March, while in Spring Training with the Yankees, Raines retired. But that summer, Rock resurfaced in suburban New Jersey. 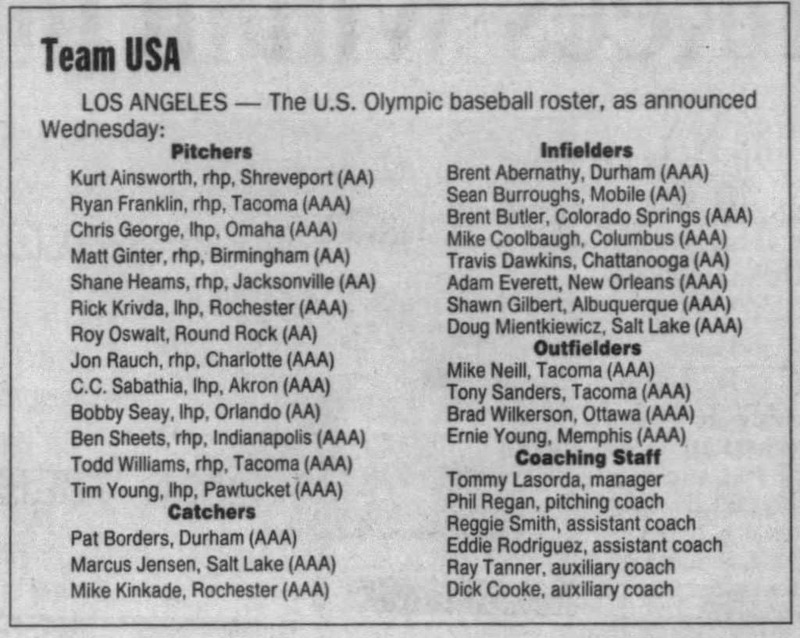 With the Olympics allowing professional baseball players for the first time, Team USA manager Tom Lasorda encouraged the selection committee — which included former MLB executives Bob Watson and Bill Bavasi — to consider recently retired players in addition to minor leaguers. Raines, who would turn 41 the day before Team USA’s first game in Sydney, was among those under consideration. But first, he had to get back into playing shape. The switch-hitting star had been working out in home in Florida, but to ramp up his preparation, Raines signed on with the Somerset Patriots in the Atlantic League. 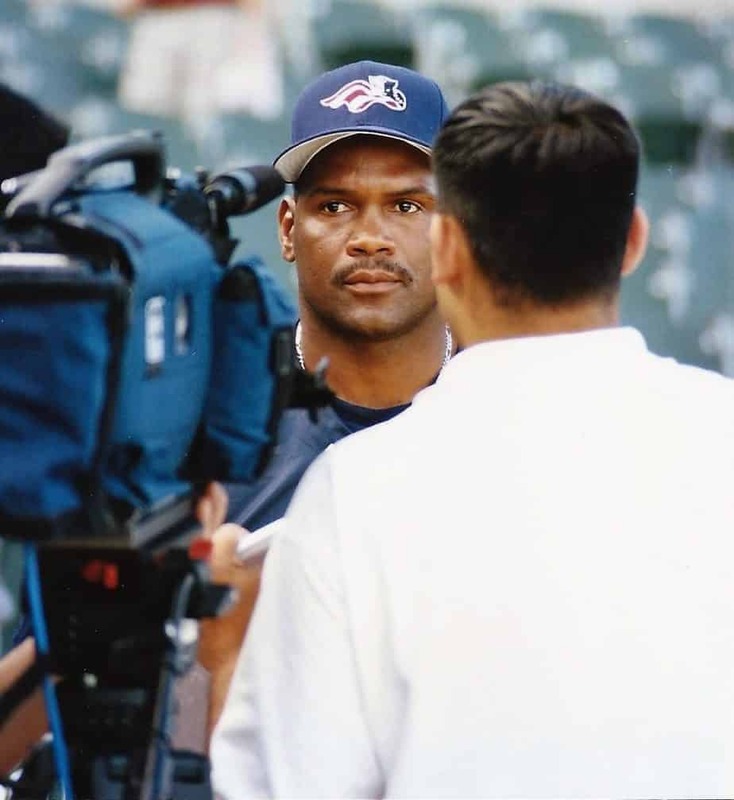 Tim Raines’ stint with the Somerset Patriots in the summer of 2000 was a big local story. 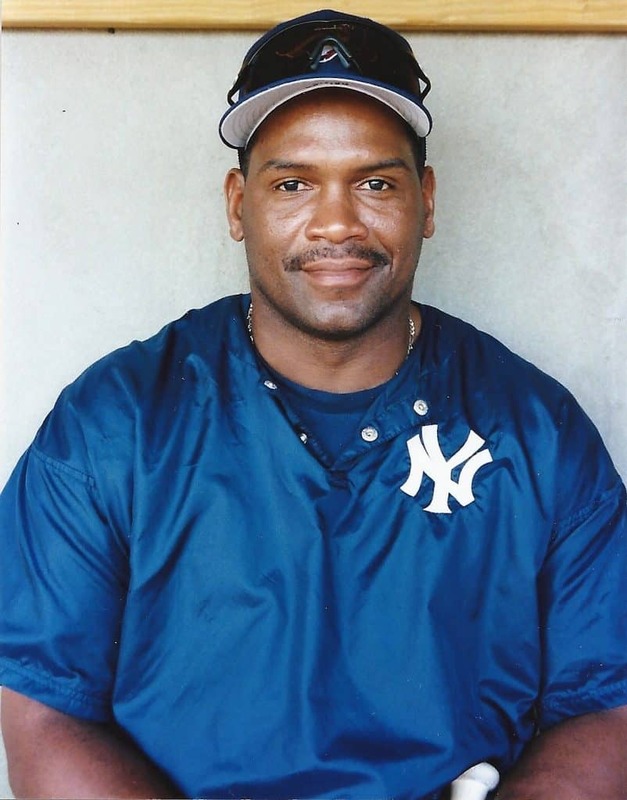 After treating his lupus in 1999, Raines went to camp with the Yankees in 2000, but was hit by a pitch in a foot in the first intrasquad game. The injury — for which he said he never got X-rays — was slow to heal and kept Raines out of exhibition games. Unable to win a roster spot, he retired, and it was two months before the foot healed. “No bruise could ever last that long,” he said. Needing somewhere to face live, professional pitching, Raines turned to Yankees scout Gene Michael, who suggested the Patriots, managed then by former Yankee Sparky Lyle. “[Michael] said, ‘Why don’t I give Somerset a call to see if they’d let you come out and play in some games?” Raines recalled in 2000. And so Raines played seven games in the Atlantic League, batting. 346 — nine hits in 26 at-bats — with three doubles, two RBIs and five walks. Originally, Raines was competing with nearly 600 other players under consideration for Team USA, but he made it to the final round of cuts — a list of 42 players, from which 24 would be selected for the Games. None of the other retired players initially considered made it that far. But when the final roster was announced, Raines wasn’t on it. But Raines’ efforts weren’t for naught. In 2001, he signed on with his original team, the Montreal Expos, and played 47 games (hitting .308) with them. That October, he was traded to the Orioles for the final week of the season, where he played alongside his son, Tim Jr., and future Hall of Famer Cal Ripken, who was in the final week of his career. Then Raines finished his career with 98 more games in 2002, with the Marlins. Without the lure of the Olympics, who knows if Raines would have made it back into the Major Leagues. He considered himself retired. But the Olympic tryout led him to Central Jersey in 2000, which led to Montreal and Baltimore in 2001 and Miami in 2002. It also added one more stolen base to his career total, along with 23 more runs, 16 more RBIs and 40 more walks. But the batting average took a dip — a .191 mark over 89 at-bats with Florida in ’02 left his career mark at .294 — tied with Frank Robinson among fellow Hall of Famers.